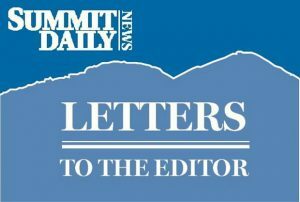 The Summit County Democrat Party, in its infinite wisdom, has succeeded in appointing (not electing) yet another glad-hand to the Summit Board of County Commissioners whose only purpose in life is to advance her personal political career by raising taxes, expanding government control of our lives and ignoring the needs of registered voters. When asked why she was running for Breckenridge Town Council a few years ago, new county commissioner Elisabeth Lawrence said, “Because I’ve always wanted to be on the town council.” The response of a real intellectual gladiator. And in a Jan. 24 Summit Daily News article, she attributed her appointment to the county commission to “all of my hard work …” — the arrogant self-serving truth about her personal quest for power. She voted to give herself a raise, at taxpayer expense, on the Breckenridge Town Council because she said, “I can’t live on the meager salary the town pays now…” It’s a blatant example of someone continually feeding at the public trough. She’s the poster child for term limits on all elected officials. We’ll be watching this newest Summit County socialist as she jumps in lock-step with the other big government commissioners and the newly elected, socialist Colorado Gov. Jared Polis as they raise taxes (think about Ballot Issue 1A last November, bag taxes at local stores and mandatory parking fees), limit personal freedoms (think about mandatory restrictions on short-term rentals) and give lip-service to inattentive voters (think about their motto — I’m from the government and I’m here to help you). I am not talking politics or religion. I am talking about a few of Morgan Liddick’s editorial comments. Maybe a better word would be judgments. Truly, his reasoning is based upon politics, not science. How can he know so much when it comes to equating scientific data with the “Chicken Little” folktale? How can he blame Oscasio-Cortez for wanting to see more equality in the world? Does he know her background? Does he know why she speaks for people who suffer from extreme poverty? Does he even care? Probably, he is ignorant of the October 2018 IPCC report. Jan. 21 marked sixth year of The Peak School MLK Community Service Day. The Peak School students and faculty went into our community inspired by the life and legacy of Dr. Martin Luther King Jr. Contrary to the belief that this holiday goes unnoticed in all schools located in Summit County, The Peak School uses the day to give back. Head of the school Travis Aldrich encouraged students to use the day to volunteer in our community and to stand true to the school’s mission of translating understanding into action. Throughout the service day, Peak students worked to shovel snow, mark trails and read to preschool students at organizations such as Friends of the Dillon Ranger District, Farview Horse Rescue, High Country Conservation Center and local schools. It is a small effort, one day of action, but an effort nonetheless and an important one. It is a chance to plant and nourish a seed, one of action and citizenship. The hope is to make connections in the community and share some of our time and yes, endless energy with organizations committed to making a difference in Summit County. Throughout his life, Dr. Martin Luther King Jr. led by example, inspiring others through his own actions, choices and the power of his words to create positive change in the world. We want to assure people that at The Peak School, we honor, celebrate and reflect on the teachings and inspiration of Dr. Martin Luther King Jr. annually and will continue to volunteer, support our community and most of all, stand together.